Health Tips: Macadamia nuts are high in monounsaturated fatty acid ("good" fat), which can help reduce overall cholesterol levels. Macadamias contain flavenoids (a phytochemical) and tocopherols (vitamin E), which are potent antioxidants and can help protect against cancer and heart disease. They also contain vitamin A, thiamine, riboflavin, niacin, and iron. 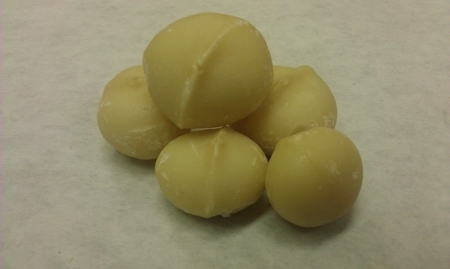 The macadamia nut is one of the few foods that contain palmitoleic acid, a monounsaturated fatty acid. In a recent study, indicators suggest the palmitoleic acid may actually aid in fat metabolism, possibly reducing stored body fat.